The National Theatre have today announced the full cast for Nine Night, Natasha Gordon’s critically acclaimed play which will transfer from the National Theatre to the Trafalgar Studios on 1 December 2018 in a co-production with Trafalgar Theatre Productions. Natasha Gordon will take the role of Lorraine in her debut play, for which she has recently been nominated for the Best Writer Award in The Stage newspaper’s ‘Debut Awards’. 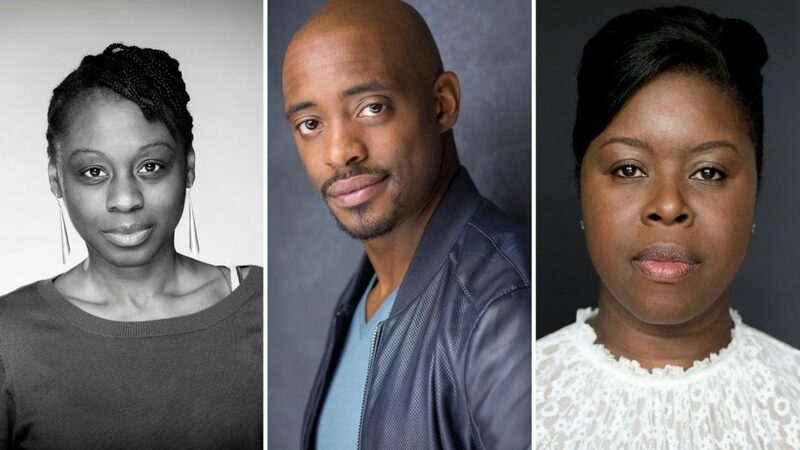 She is joined by Oliver Alvin-Wilson (Robert), Michelle Greenidge (Trudy), also nominated in the Stage Awards for Best West End Debut, Hattie Ladbury (Sophie), Rebekah Murrell (Anita) and Cecilia Noble (Aunt Maggie) who return to their celebrated NT roles, and Karl Collins (Uncle Vince) who completes the West End cast. Nine Night is Natasha Gordon’s first play as a writer and this transfer will make her the first black British female playwright to have a play staged in the West End.